It is a word... Mountacular. It has to be. 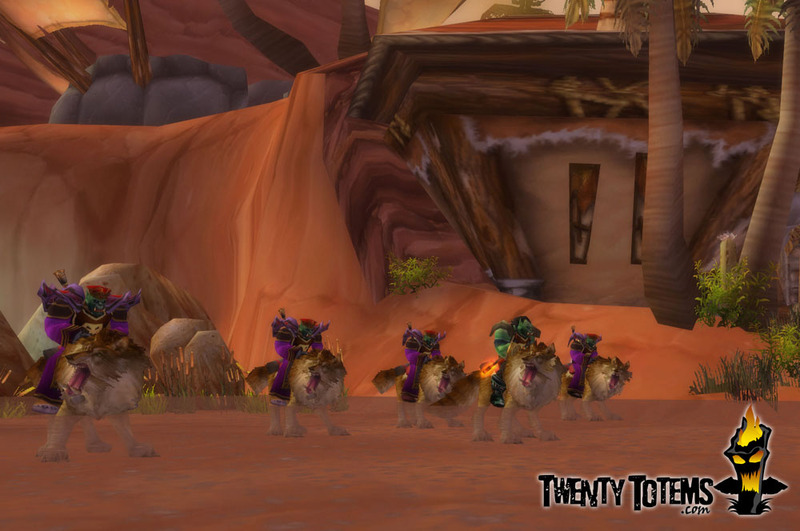 It's the first thing that came out of my mouth when I saw all five of the Shaman on their wolves. Bam. There it was. And no one in the room complained. Has to be real. When I got the kids to 40, I realized they were all dirt poor. I haven't been questing, or gathering anything to sell. The money I get from vendoring the many, many, many blue items I get, barely covered the training costs. So I took a break for two days, and used my limited playing time to run dailies with Boom. I also sold a world drop epic that we found on High Inquisitor Whitemane after one of our 4 billion SM runs. The glorious Fiery War Axe. Gained us a quick 200g, and the dailies did the rest. The mounts are already proving a time saver in Zul'Farrak. Woot for instances you can mount in!